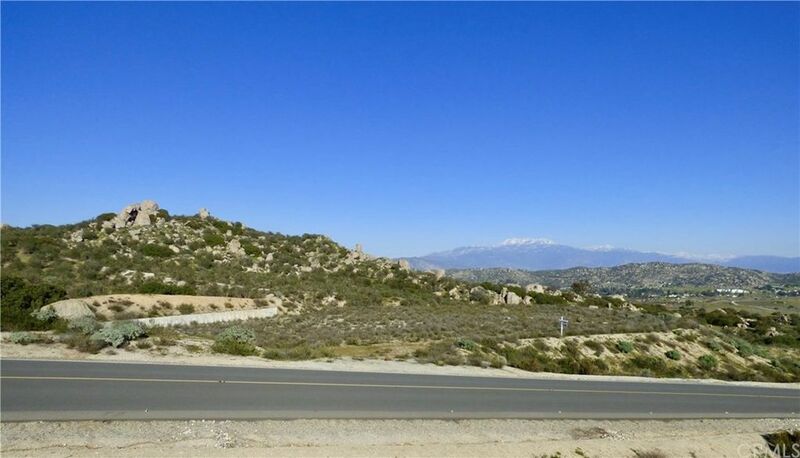 BUILD TO SUIT on this 5.57 ACRE VIEW PARCEL in THE RANCH at SKY MESA , a Private, Gated Community in Southwestern Riverside County, the fastest growing County in Southern California. Lot 9, Tract 1. Large expanding frontage is enhanced by the unique triangular shape. ENGINEERED & CERTIFIED VIEW PAD. Retaining wall along N. boundary. Fire hydrant letter completed. Corners reconfirmed. Utilities in repaved street. Propane and septic tank area. 2800+- sq ft. homes with 3+ car garages on minimum lot size of five+ acres. Private gated community is a 500 acre subdivision with 77 lots. No mobile homes allowed ensures your future homes value. Four horses allowed. Twelve acre common area with a training arena. Community is surrounded by natural habitat, amazing rock formations and miles and miles of riding trails. Front gate will be impressive due to its existing renovation. Both S. & N. gates have high-tech security cameras for your families safety. Extremely private location, yet easy access to the Ramona Expressway, Hwy 74. realigned Hwy 79, I-215, I-15 & the 10 & 60 Freeways. OWNER MAY BUILD TO SUIT! Owner/builder opportunity. Must see! Call for private showing. Directions: Highway 74 to Juniper Flats Rd. to left at Sky Mesa Rd. Call Smithson @ call box for access from gate. Improvements: Improvements: Engineered, certified pad. Retaining wall. Driveway designated. Repaved street with utilities in streets. High-tech cameras at security gates.